Wind, Wind, Go Away! I Need to Drive Today! While heavy rains, dense fog, and blustery snowstorms are obviously dangerous to drive in, the wind can catch you by surprise. The skies can be clear and the road can be dry, but suddenly, a huge gust of wind makes your car uncontrollable. While it is possible to have high winds affect your city driving, more often than not, the wind will creep up on you when you are on a desolate highway. The terrain around you will create massive winds that will have you counting down the miles until you are through it. Driving through the wind can be very scary. It often feels like your car has a mind of its own and there is nothing you can do to stop it. But luckily, there are a few things you can do to help yourself stay safe. For starters, steer clear of anything being towed. When something is not directly connected to an engine and a steering wheel (not to mention a person behind the steering wheel), it really does have a mind of its own in the wind. While cars and trucks can be semi-controlled by the driver during a huge gust of wind, trailers cannot. If you have to pass such an item, do so as quickly as possible while still maintaining control of your vehicle. Never follow too close to any vehicle. Some people believe that if you can get really close to the back of a car, they will deflect the wind and you can drive smoothly. In theory, this might work if you can control the wind and only make it approach from directly in front of you. 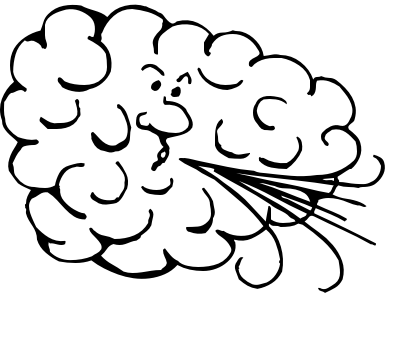 Unfortunately, most wind comes from every other angle, making it extremely dangerous to follow too closely to a car. If you or the other car loses control due to the wind, you will both be hurt, and you will get the ticket. Does it matter what car I drive? Every car will be affected in extreme wind; however, according to How Stuff Works, some cars will definitely feel it more than others. Think about it, the lower your car is to the ground, the less impact the wind will have. On the contrary, a huge van or SUV will probably feel every single blow. You should drive in the wind like you do in any other adverse driving conditions. Go slower than the posted speed limit so you have a chance to correct any movements the wind causes your car to make. And always follow all of the defensive driving techniques that you know and love (i.e. keep your hands at 10:00 and 2:00 and constantly scan the roads for flying objects).